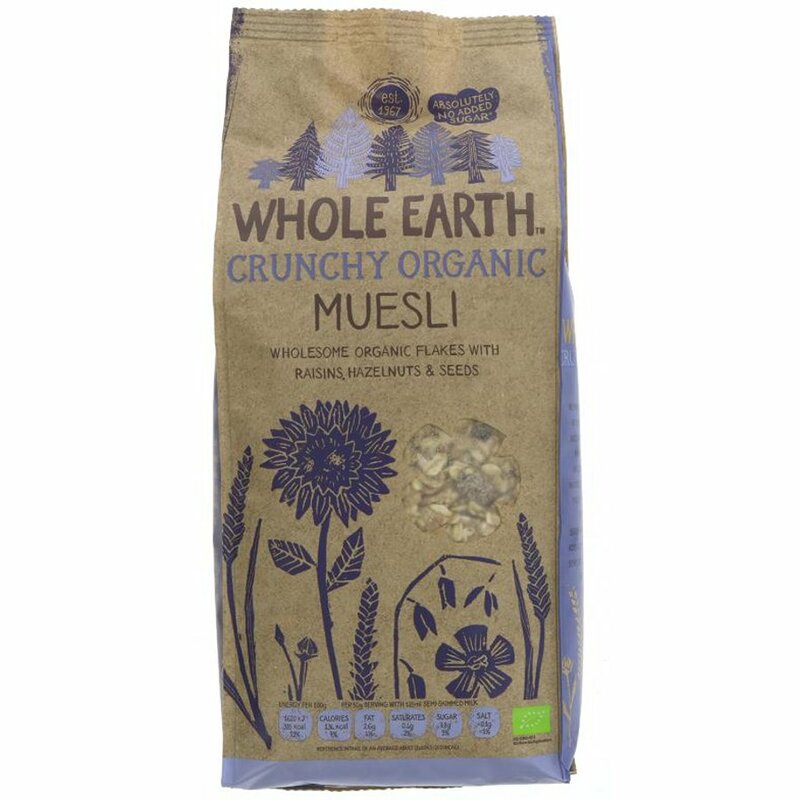 With a marvellously creamy taste, this nutty muesli blend from Whole Earth is made with the finest organic ingredients. Created from an original Swiss recipe, the combination of flakes of oats and wheat, succulent raisins, seeds rich in flaxseed and sunflower oils, and crunchy hazelnuts really makes the muesli lovers’ muesli. 750g. High in fibre and free from artificial additives. This product is vegan friendly and dairy free. Due to the method of manufacturing, this product contains wheat, oats, gluten and nuts. It may contain traces of lupin. The Whole Earth Organic Muesli 750g product ethics are indicated below. To learn more about these product ethics and to see related products, follow the links below. Unfortunately it is also processed in factory that handles milk and soya. 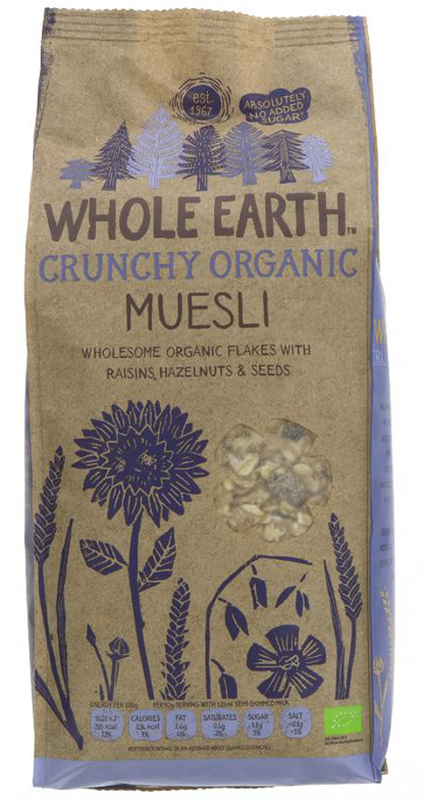 There are currently no questions to display about Whole Earth Organic Muesli 750g.